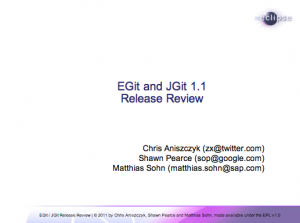 The JGit and EGit project teams are proud to announce our 1.1 release in time for Indigo SR1! To see what’s new, check out the respective JGit new and noteworthy and EGit new and noteworthy documents. In terms of new features, some of my favorites are the new reflog view which I had a hand in putting together. 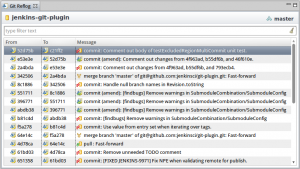 If you ever wanted to know where a commit went, git-reflog can save you. In terms of other features, I’m really happy with the improvements to the synchronize view which just screams now in terms of performance (thank you Dariusz Luksza). I’m confident now that we should handle the majority of repositories with reasonable performance when trying to compare refs. The other highlight of the release is the improvements to the GitHub Mylyn Connector. 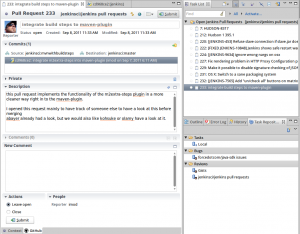 GitHub Pull Requests can now be added as a Mylyn Task Repository type and you can now open pull requests with an editor (supports opening commits in the commit viewer). This is fantastic productivity boost (thanks Kevin Sawiciki) if you had to work with github pull requests via the command line before. 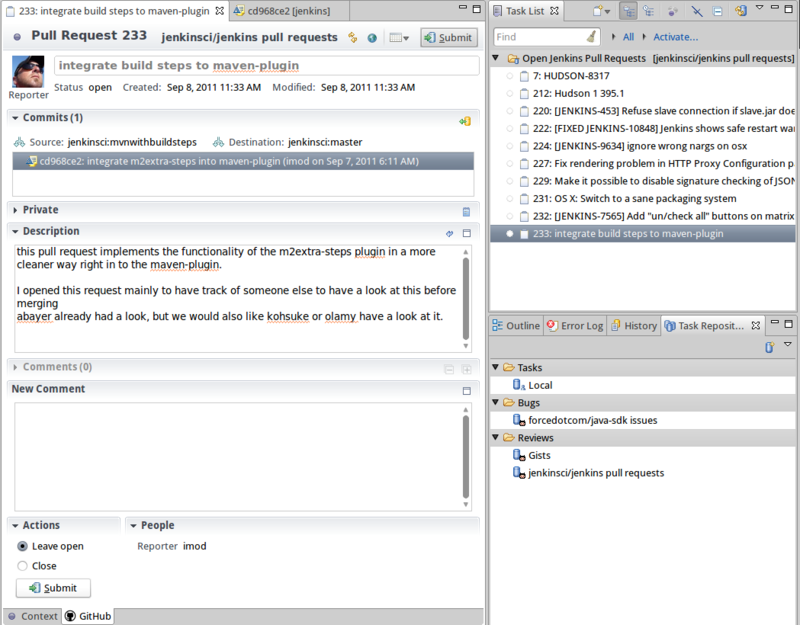 On top of that, there’s a full implementation of the GitHub v3 API available via the EGit project. 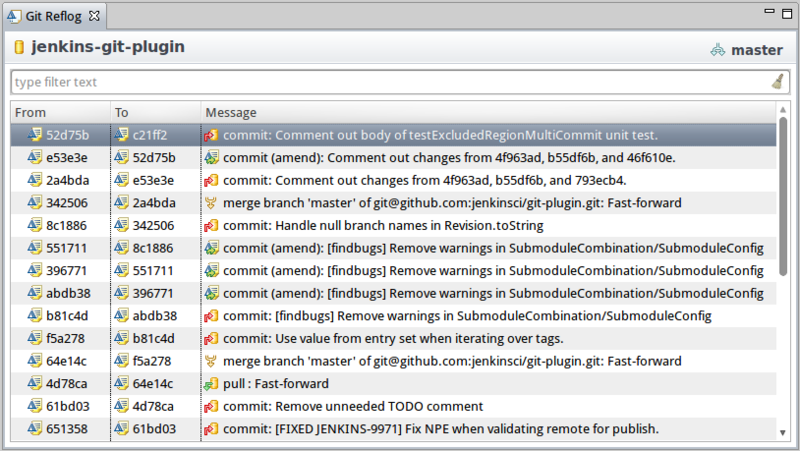 Enjoy the release and thanks for your patience while we improve the Git support within Eclipse!